Today the Communist Party remains in power in several isolated countries around the world. Though central planning failed to produce economic prosperity—leading some communist nations to backtrack toward the free market while others remain inert in threadbare1960's decor—the Party maintains many of its levers of control over the lives of individuals. These regimes demonstrate how their original pursuit of equality can be abandoned, leaving power as an end in itself. 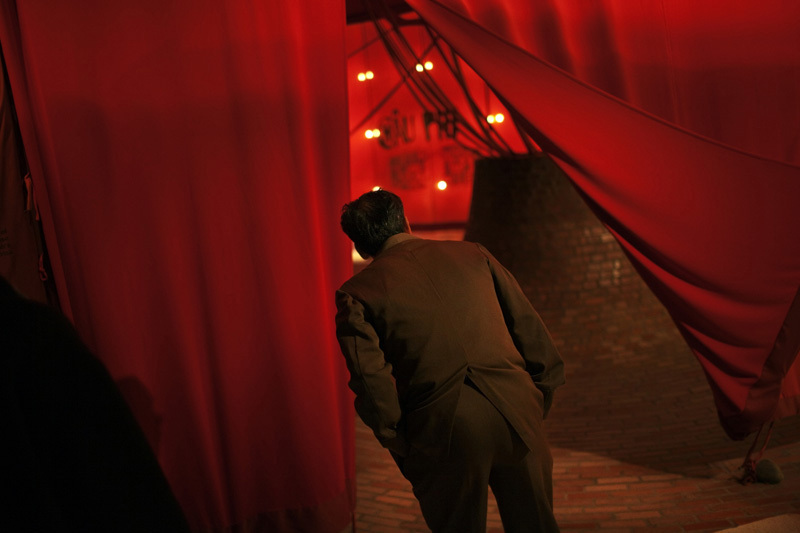 A man looks at an exhibit behind a red curtain inside the Ho Chi Minh Museum in Hanoi, Vietnam on 17 November 2009.